The 'Sheriff' Active Denial System (ADS), due to be implemented in Iraq by 2006, has some scientists and researchers expressing concerns. ADS is a non-lethal, counter-personnel directed energy weapon; it projects a focused beam of millimeter-sized waves to induce an intolerable heating sensation on the skin of adversaries. "What happens if someone in a crowd is unable for whatever reason to move away from the beam?" asked Neil Davison, coordinator of the nonlethal weapons research project at Britain's Bradford University. "How do you ensure that the dose doesn't cross the threshold for permanent damage? Does the weapon cut out to prevent overexposure?" A large portion of the investment, about $9 million, has been devoted to characterizing the effects of this technology on the human body. This is to ensure the effects of millimeter waves are well understood, and that a wide safety margin exists between levels that provide operationally useful effects and those that may cause injury. Animals and humans have been used in the extensive test program, which has been conducted in strict compliance with the procedures, laws and regulations governing animal and human research. The tests have been reviewed and approved by a formal Institutional Review Board with oversight from the Air Force Surgeon General’s Office. An independent panel of nongovernmental medical experts also periodically reviewed and advised on the planning aspects and results of the research and test activities. In tests carried out on Wednesday at Kirtland Air Force Base in New Mexico, participants were asked to remove their glasses and contact lenses to protect their eyes. In other tests, participants were asked to remove metal objects like coins from their clothing. Science fiction fans have been concerned about energy weapons since H.G. Wells originated the idea of a heat ray in War of the Worlds. 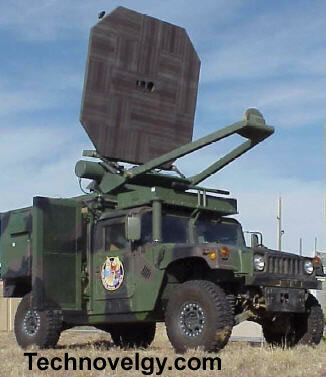 The Active Denial System has been in development for almost fifteen years; early development was done by the Air Force Research Laboratory and the DoD Joint Non-Lethal Weapons Directorate. Read more about Active Denial Technology: Directed Energy Weapons and Riot control ray gun.